Two weekends ago, we got our new sectional and we were ready to ditch the coffee tables turned makeshift end tables we’ve had. Instead of putting them at the ends of the couch where they belong, we immediately wanted them out of sight. 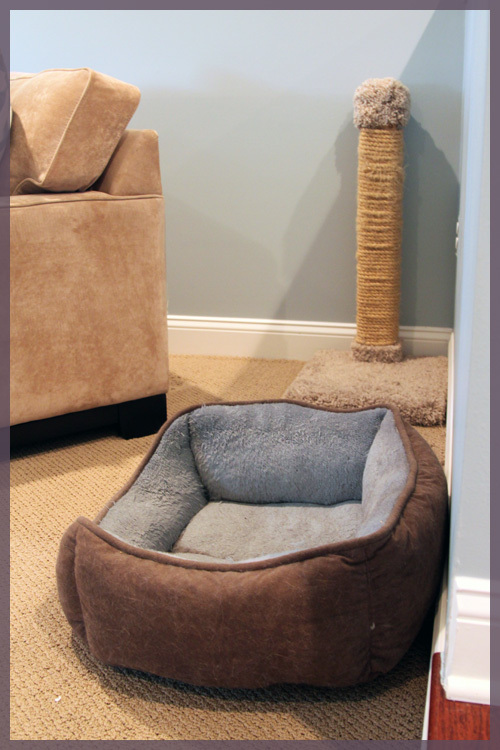 The room is less cluttered, though we still have to pick up a round ottoman and move the rectangular one upstairs. However, I have nowhere to put a drink! 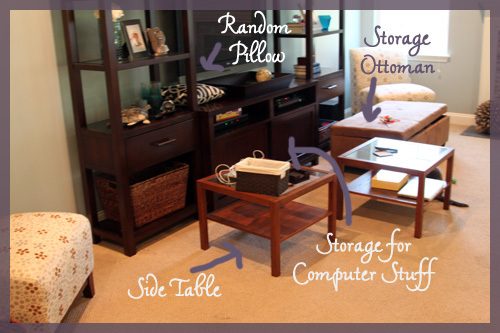 Our laptops also stay on the floor when we’re not using them, so we need side tables asap! My only requirements are dark and round. 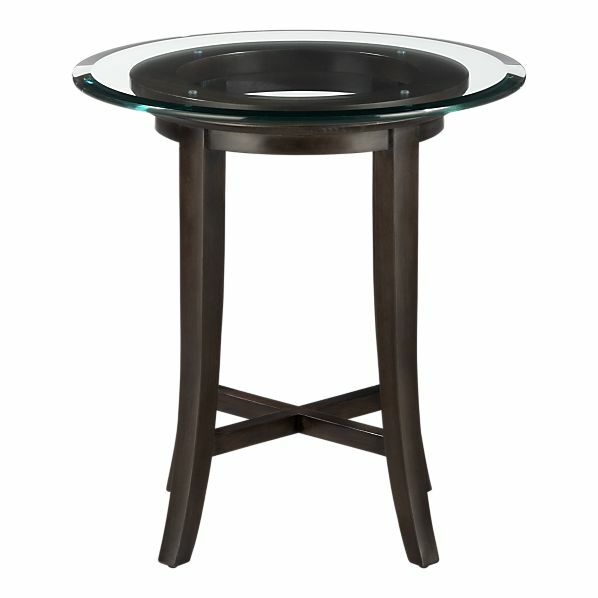 I would like something with a glass table top since we’re not great with chasing after people with coasters, but it’s not mandatory. We’re not even sure if we want one or two of them, since we like the idea of putting a console on side of the couch (though that would force us to relocate Macky’s area for the second time). I rounded up (literally?) 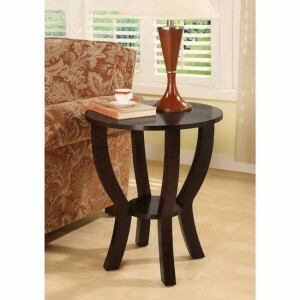 some of my favorite dark wood end tables hanging around the internet. Yay lists! I spotted this when I stopped in the store a few weeks ago. I love the design of it, though I’m not sure if the smaller shelf is large enough to be practical (like, for my laptop when I’m too lazy to walk it to the office). I like the price and the design, though I’m not sure how practical those legs are for sliding near the couch. Target normally has some good, affordable furniture options so it’s a visit we’ll have to make in person. 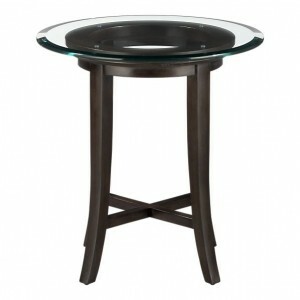 Mike and I have liked the whole Halo line since we created our wedding registry at Crate & Barrel over two years ago. It meets all of my critera, though it doesn’t have a bottom shelf. However, that price is a deal breaker. Ouch. This table is a less expensive version of the first one I listed, so it pretty much has the same pros and cons as that one. Great picks! I like the West Elm and Target ones, but I think looking at HomeGoods is a good option. Sometimes things jump out at you from the least expected places. 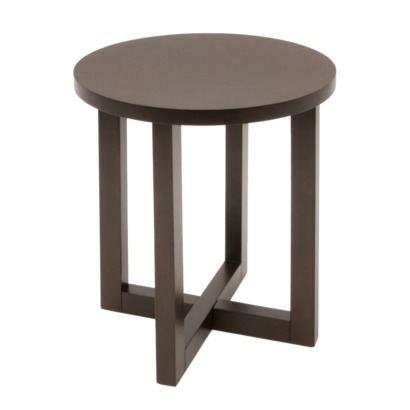 I’m sure you’ll find the perfect tables! Did you ever think of attaching them together and covering them with batting and foam and a pretty fabric, to make a long ottoman. Then you could try selling it if you didn’t like it (and most likely get a better price for it with not a huge cost!) orr if you really like it using it somewhere it your house; Foot of the master bed, or guest bedroom for luggage for your guests. Or as a bench next to a door or in a hall way, or in the kitchen for extra seating. My favorite is the first one from West Elm, although I totally get what you mean with the bottom shelf being sort of impractical. I love pretty much everything at Crate&Barrel but it’s out of our price range too. 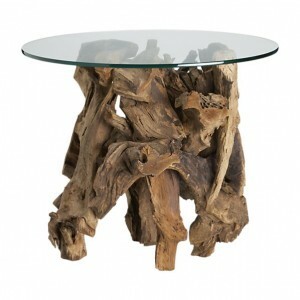 Love the West Elm and the cheaper Overstock one. I see what you mean about the bottom shelf though. I would probably end up squeezing a laptop in sideways because I am lazy and have no respect for technology. Also, I don’t have a laptop, so this would be a theoretical jamming. Awesome!! I love a colorful painted mirror! Oooh! 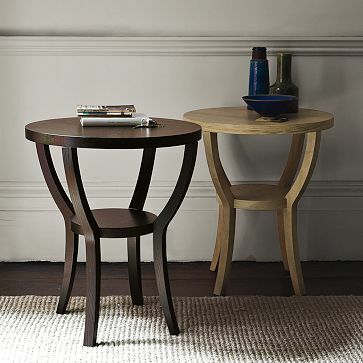 I love those tables from West Elm and the last two from O.com – the tapered shape gives them the illusion of taking up less space than they actually do. Great difficulties altogether, you only gained a different viewer. What exactly can you suggest concerning your publish that you simply produced at employment times ago? Any kind of confident?